The Internet Society has just published a new report on Internet Access and Education. This makes interesting reading. In summary it argues that “The Internet has immense potential to improve the quality of education, which is one of the pillars of sustainable development. This … briefing outlines ways in which policymakers can unlock that potential through an enabling framework for access to the Internet. It sets out five priorities for policymakers: infrastructure and access, vision and policy, inclusion, capacity, and content and devices. Together these represent key considerations for unlocking access to the Internet in support of education”. 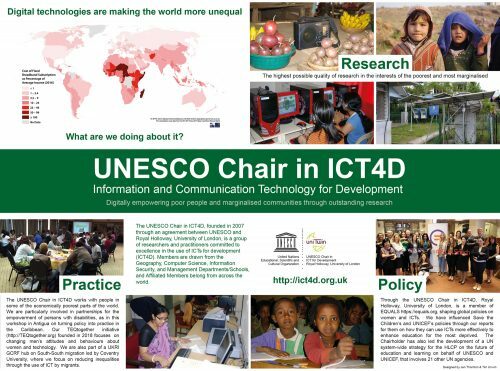 Posted on November 24, 2017 November 24, 2017 by Tim UnwinPosted in Education, Internet, Internet SocietyTagged Education, Internet, Internet Society, ISOC, Policy.